We represent employers in litigation of employment claims in state and federal court, and in administrative proceedings before state and federal agencies. We also assist employers in resolving disputes through arbitration and mediation. Our work includes defense of claims for discrimination, harassment, violations of the Family Medical Leave Act and Oregon Family Leave Act, and retaliation. We also defend claims for unpaid wages and overtime as well as claims related to misclassification of workers. Our litigators assist employers in enforcing contracts and post-termination non-competition and non-solicitation restrictions. We represent clients in connection with anti-poaching provisions as well as claims for business interference related to employees and contractors. We also help employers protect their confidential and trade secret information in state court, and using federal laws such as the Defend Trade Secrets Act and Computer Fraud and Abuse Act in federal court. Our practice also includes representing employees in actions arising from employment contracts. On behalf of retail employer, we responded to an employee's whistle blower and wrongful termination claims filed with Oregon Bureau of Labor and Industries ("BOLI"). BOLI's investigation confirmed that our client employer had acted appropriately and lawfully, and all claims were dismissed. We defended a client sued by a former employee for pregnancy discrimination based on the client's alleged refusal to provide "light duty" to pregnant employee. We established the client's right to limit "light duty" to employees who suffer work-related injuries and obtained withdrawal of administrative claim based on same. We defended a trucking company against its former employee's claims of worker's compensation discrimination. After obtaining favorable deposition testimony from the plaintiff employee, we negotiated dismissal and release of all claims. 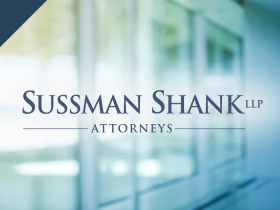 On behalf of a national real estate training corporation, we successfully enforced a non-competition agreement, obtained an injunction, and obtained damages through a favorable settlement against a former employee. We successfully prosecuted breach of duty claims against a former director of a plumbing corporation and obtained a favorable settlement on the day jury trial was to begin. In federal court, we defeated class certification in a matter involving approximately 1,400 independent contractors who claimed they were owed commissions. The class sought approximately $15,000,000 plus attorney fees and penalties. Our client also prevailed on its counterclaim against the plaintiffs for a declaration that the anti-poaching provision in their contract is enforceable under California law. In federal court, we obtained partial summary judgment on behalf of a Fortune 50 tech company in a $13,000,000 contract dispute. The matter was subsequently resolved. In federal court, we obtained a $1,200,000 jury verdict on our client's business interference claim. The jury determined that the defendant, a competing business, had intentionally interfered with our client's relationship with its contractors by inducing them to terminate their relationship with our client and join the competitor.